Yes, crocodile tears are real though they are shed for eye lubrication and not as an expression of false sympathy as the idiom has come to imply. In fact, their tears are full of nutrients and minerals (not unlike human tears) and can provide a quick pit stop for insects as the incredible picture below demonstrates. 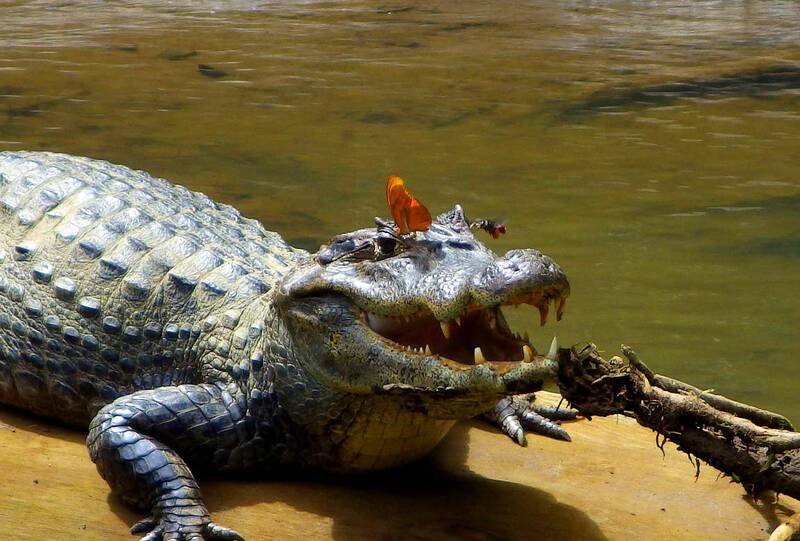 Taken by Dr. Carlos de la Rosa in Costa Rica, the crocodile (actually a spectacled caiman) sat calmly as a butterfly AND a bumblebee licked its “tears”, officially known as lacryphagous behavior. This carried on for 15 minutes all of which Dr. de la Rosa filmed. Watched the video and read more at SciNews.